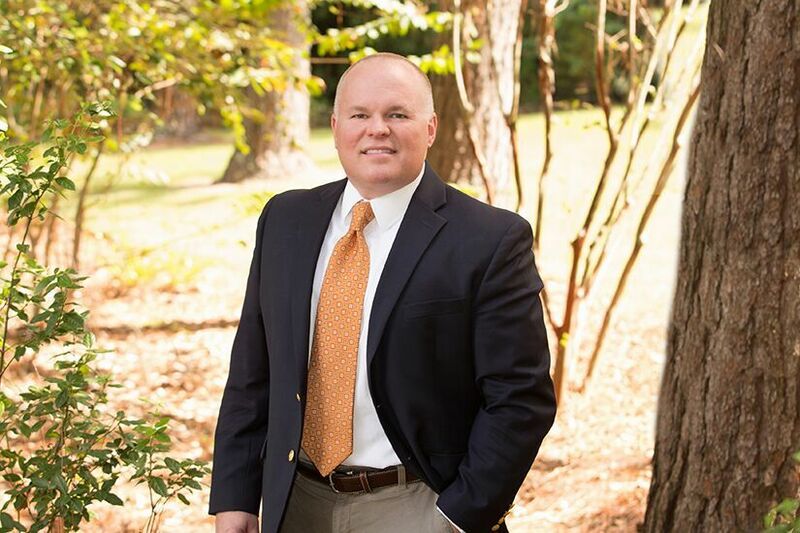 Brent, a native of Tifton, Georgia, is a partner and shareholder with Hall Booth Smith PC. Brent graduated from Valdosta State College with an undergraduate degree in political science (B.A. ’91) and received the graduate degree of Master of Public Administration (M.P.A. ’92). While attending college, Brent attended Abraham Baldwin Regional Police Academy and obtained his Georgia P.O.S.T. certification graduating with honors. Thereafter, he worked full-time as a deputy sheriff for several years. He later became employed with the Tifton-Tift County Chamber of Commerce as both Community Development Manager and Acting Executive Vice President before attending law school in the fall of 1994. He received his Juris Doctor from Oklahoma City University School of Law in 1997. Brent practices primarily in the areas of transportation, professional negligence, medical malpractice defense, governmental liability, employment law, real estate, and civil litigation defense. He is licensed to practice in all North Carolina courts, but currently practices in all state and federal Courts in Georgia. He is also admitted to all federal courts in Georgia and North Carolina and is also admitted to the United States Supreme Court. Aside from the practice of law, Brent is an Adjunct Instructor at Abraham Baldwin College where he teaches many criminal justice and law-related courses, as well as American Government. As a certified peace officer with a background in law enforcement, Brent is also called upon by local law enforcement agencies and the Georgia Public Training Center to instruct law enforcement officers on topics such as courtroom demeanor, use of force, use of firearms, and law enforcement liability issues. Brent serves as a legal advisor to the National Sheriff’s Association, he is a member of the Georgia Sheriff’s Association’s attorney referral network representing Region 8, and he is a sworn officer with several sheriff’s offices. Brent is married with two children; he is a member of Rotary of Tift County; he is a board member with the Coastal Plain Chapter of the American Red Cross; and he is a member of First Baptist Church-Tifton. “Developing an Effective Training Program on Peer-to-Peer Sexual Harassment,” Student-to-Student Sexual Harassment: A Legal Guide for Schools, National School Boards Association (April 1998). “Reducing Liability for Sexual Harassment,” Principal Leadership, A Publication of the National Association of Secondary School Principals (November 2004). “TITLE IX: DEVELOPMENTS IN THE LAW SINCE GEBSER AND DAVIS,” Inquiry & Analysis, National School Boards Association (November 2003). Brent is a Georgia POST certified peace officer having graduated from the South Georgia Police Academy in 1991 with Honors. He worked as a sworn Deputy Sheriff for several South Georgia Sheriffs prior to becoming an attorney and he has continuously served as a sworn Reserve Deputy Sheriff for over 20 years. Brent has served as legal advisor to the National Sheriff’s Association for over ten years and is a guest instructor to local law enforcement agencies in the areas of use of force, courtroom demeanor, search and seizure, and many other areas. He advises local law enforcement in policy creation and implementation and liability issues. For the past ten years, he has attended annual training with fellow law enforcement officers in live active shooter scenario training. He is called upon to offer technical legal assistance with scenarios as well as officer response. He has well over 1000 hours of POST training and on the job experience to offer clients by way of training and in developing plans to respond to active shooter incidents. Mr. Hyde represents clients in litigated matters in long term care and senior housing. His representation focuses on professional malpractice defense for skilled nursing facilities, assisted living facilities, and sub-acute facilities. Mr. Hyde serves as local school board counsel. He has also served as counsel for school boards in a variety of areas, including, open meetings and public records laws; teacher tenure and other employment laws; fines and forfeitures; state and federal laws pertaining to disabled students; state and federal anti-discrimination laws and constitutional rights of due process, freedom of speech and religion, search and seizure, and equal protection. In addition to representing school boards, Mr. Hyde has also represented professional educators in matters concerning their employment status and issues relative to their professional certification. Prior to joining the Firm, Mr. Hyde worked for a North Carolina law firm, which specializes in the areas of education law, employment law, and civil litigation. Mr. Hyde has served as legal counsel for governmental entities for most of his career relative to a variety of areas, including, open meetings and public records laws; employment laws; public finance; real estate; and, state and federal anti-discrimination laws. Mr. Hyde has also represented governmental entities in defense of claims alleging constitutional deprivations brought under 42 U.S.C. § 1983 on many occasions. Mr. Hyde received his Georgia P.O.S.T. certification as a peace officer in 1991 with honors. He worked as a deputy sheriff for numerous years prior to attending law school and he has a working knowledge of law enforcement practices and procedures. Mr. Hyde serves as a legal advisor to the National Sheriff’s Association, he is a member of the Georgia Sheriff’s Association’s attorney referral network representing Region 8, and he is a sworn officer for several sheriff’s offices. He has published many national articles in the areas of governmental liability. Mr. Hyde is committed to helping employers avoid, resolve, and prevail in employment disputes involving the full range of employment and labor issues. This includes litigation in state and federal courts and the representation of employers before administrative agencies over claims including: discrimination, harassment, retaliation, accommodation, and state torts such as negligent supervision and hiring, intentional and negligent infliction of emotional distress, defamation, invasion of privacy, and wrongful discharge allegations. Mr. Hyde represents local businesses and industry, and governmental entities, in a wide variety of employment related matters, including policy and procedure implementation and revision, issues concerning state and federal anti-discrimination laws, and other employment issues. He also regularly represents employers with matters involving the EEOC. Mr. Hyde has represented physicians, nurses, other medical providers, and hospitals for most of his legal career. He has defended many forms of medical negligence cases in addition to representing individual physicians before the State Composite Board of Medical Examiners. Mr. Hyde represents commercial lenders, public and private entities, and individuals in a wide variety of real estate transactions. Mr. Hyde represents independently owned trucking companies and handles the defense of trucking litigation cases for insurance carriers and their insureds. As a deputy sheriff, he is very familiar with the process of accident investigation as well as state and federal trucking laws applicable to the trucking industry. He has law enforcement contacts statewide, which becomes a useful tool while handling trucking claims. He has depth and experience overseeing catastrophic and rapid response investigations, and has handled many claims involving allegations of violations of the rules of the road (Title 40), driver-fatigue, negligent entrustment, and training issues, to name a few. He also has knowledge of the cares and concerns of insurers and carriers within the industry.